Newly manufactured by Prvi Partizan, this product is brass-cased, boxer-primed, non-corrosive, and reloadable. It is a great choice for self-defense at an economical cost. 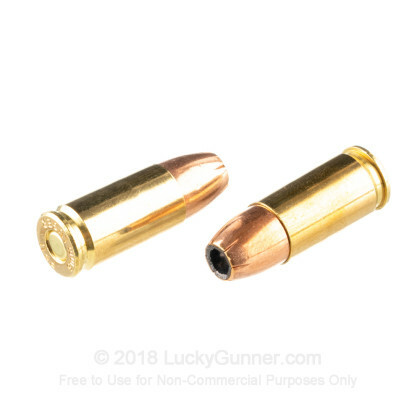 The jacketed hollow point creates a mushrooming effect creating excellent stopping power for when you need it most. 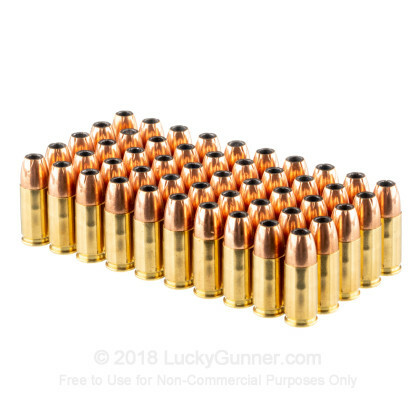 Rounds come in clear plastic sealed packs to keep moisture out of ammo helping to add to ammunition's shelf life! 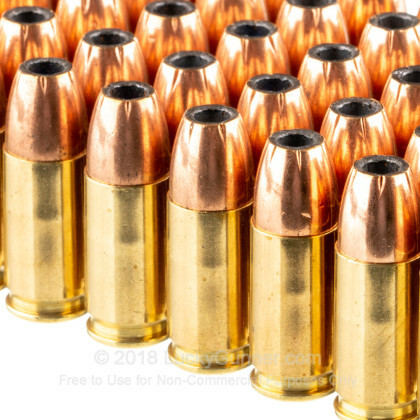 For the past few decades, gelatin testing has been one of the primary tools used by ballistics experts to attempt to predict the real world performance of self-defense ammunition. 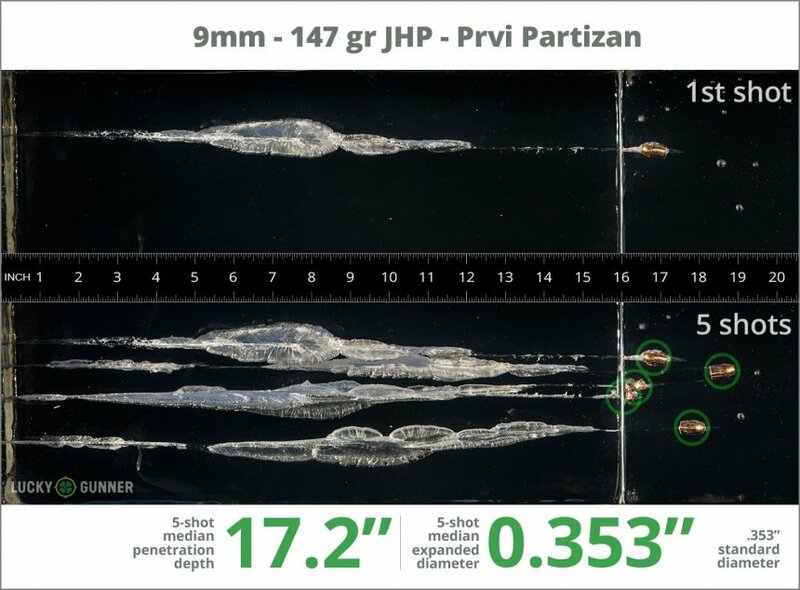 Following the protocol first established by the FBI, we fired five rounds of Prvi Partizan 147 Grain into Clear Ballistics synthetic gelatin. Each round was fired from a Smith & Wesson M&P9C pistol from 10 feet away with a four-layer barrier of heavy fabric placed in front of the gelatin to simulate an attacker wearing thick clothing. 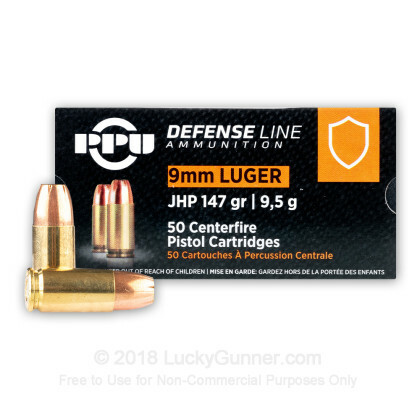 We don't have any reviews yet for this particular 9mm Luger (9x19) ammo from Prvi Partizan. 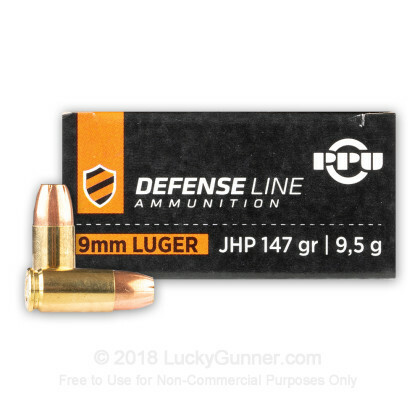 If you'd like to be the first to review this particular 9mm Luger (9x19) ammo from Prvi Partizan, fill out the form below. 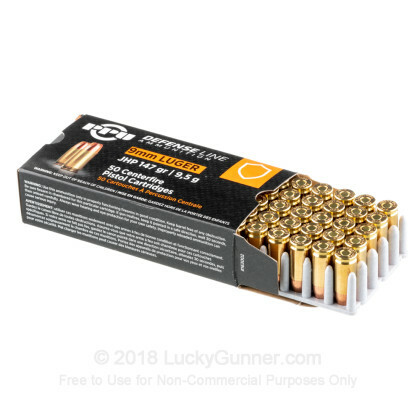 We also have this 9mm - 147 Grain JHP - Prvi Partizan - 50 Rounds ammo in stock in a smaller quantity.